The holidays are a wonderful time to find thoughtful gifts for our loved ones, but this can also be overwhelming. With this thought in mind, I have created the first Enriched Family Holiday Gift Guide (for kids - up to tweens/teens). I know y’all know the list of toys that your kids are clamoring for, so I have focused instead on educational and experience gifts. I have tried to include gifts at a variety of price points. Please note, I have included links to Amazon (when available) simply for ease of finding and pricing the various gift ideas. Many of these gifts can be found locally as well. 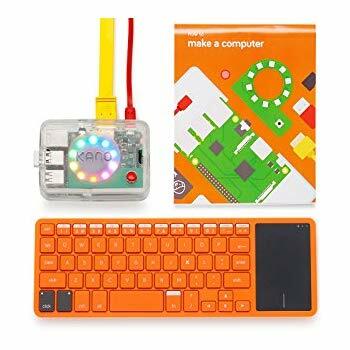 A great way to expose your child to coding early on. The MangoBot is a hands-on game that uses blocks to teach girls and boys the fundamentals of programming. Ages 3 and up. If the Sphero BOLT is a bit too expensive or you are worried about making such an investment not knowing if your kid(s) will really enjoy coding, check out the Sphero Mini. It is also an app-controlled robotic ball. It can be driven, used for gaming, and for coding. Ages 8 and up. We are gifting each of our girls a Sphero Mini for Christmas and I’m excited to see their coding creativity unleashed! Build a Wand. Learn To Code. Make Magic. A DIY kit that shows you how to build a Bluetooth Coding Wand, learn to code with step-by-step creative challenges, and make magic, with a wave, twist, and a twirl. Ages 6 and up. On Amazon’s “Holiday Toy List,” also received Time’s “Best Inventions 2018” award, as well as the “TOTY Toy of the Year Award 2019.” I almost got this for my oldest daughter who is obsessed with all things Harry Potter, but ultimately decided on the Sphero Mini instead. Looks very fun. Make a computer. Learn to code. Play. Create a real, working computer. Ages 6 to 14. This looks amazing. I am adding this to the list for next year. I really appreciate how this journal helps children focus on cultivating a positive, “growth” mindset that encourages them to be grateful, find joy in learning, find lessons in mistakes, and embrace challenges and grow from them. Ages 6-11. One for tweens and teens! 200 tales of extraordinary women. A wonderful, entertaining way to learn about important historical figures. Get your son and/or daughter the New York Times Bestselling books! Ages 6 and up. Also, check out the free Podcast! Another book I am adding to the list for next year! 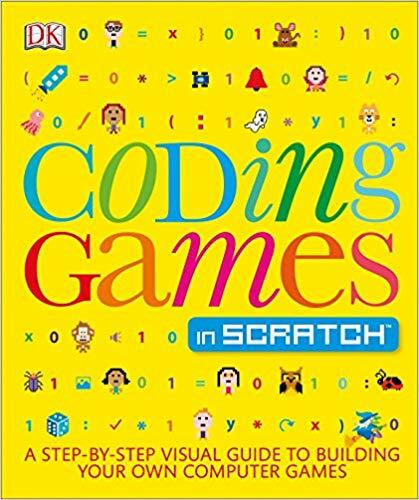 This New York Times bestseller is part how-to, part girls-empowerment, and includes interesting history and facts about coding. Ages 10 and up. 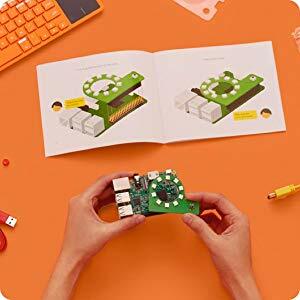 If you are looking for an actual how-to coding guide for kids, this is it. Ages 8-12. I got this mother-daughter journal for my older daughter (age 9) for Christmas. She loves journals and as she moves into her tween years, I thought it would be a fun communication tool for us to share. Ages 9-12. And one for the boys! A mother and son journal. Ages 9-12. I love this collection of books by Andrea Beaty, with wonderful, whimsical illustrations by David Roberts. Especially great if you are looking to inspire and encourage younger kids’ interests in engineering/building/architecture/creativity/science/exploration/tinkering, etc. It is such a joy to read these books with my youngest daughter. Ages 5-7. Let’s face it, many of our children are fortunate enough to have a lot of stuff. Before the holidays, I always try to make it a priority to clean out and organize my kids’ rooms with them. We always set aside a pile of gently-used toys and clothes to donate to other children. I hope this is a reminder to my kids about the importance of gratitude and recognizing the needs of others. Included below are some other ideas for a more minimalist approach to the holidays. One thing they want, one thing they need, one thing to wear, and one thing to read. Many grandparents love showering their grand babies with love and gifts at the holidays. If you want a nice way to suggest keeping things minimal, while still creating room for the generosity of grandparents, try this approach to grandparent-giving that I read about in an article in Mother Magazine: Suggest that grandparents think about getting the children “one thing they want, one thing they need, one thing to wear, and one thing to read.” Great idea! Consider a subscription to a Toybrary. Yes, you heard that right. You can check out toys at our very own Toybrary Austin - a toy lending library for children ages 6 months to 5 years old. Check out this piece on the benefits of a toybrary, including less expense, less waste, and less clutter. Ask a grandparent to get your child(ren) a subscription or get it for them yourself! Encourage your child to cultivate skills such as patience, goal-setting, and saving with Goalsetter or Littlefund. These savings platforms allow children to set savings goals for specific adventures and experiences. For example, a college fund; a museum membership; a family trip; et cetera. Then, once your child’s account and goals are set up, you can share the information with family and friends who might want to “gift savings towards your children’s goals and dreams” (Littlefund). Encourage budding artists, dancers, equestrians, musicians, coders, and so on, by gifting lessons or classes in the art forms or STEM topics the kids in your life are most interested in exploring. Little Passports - Design your gift box based on the child’s age and interests (including science, US travel, and world travel and cultures). Green Kid Crafts - Eco-friendly, STEM science and art boxes for a variety of ages. Lillypost - Board and picture book box for kids newborn to 7 years old. You can feel extra good about this gift box - for every box they ship, Lillypost donates a book to a child in need. Kiwi Co Crates - Hands-on science and art projects for ages 0-16+ (you choose the crate that best fits the child’s age and interests). Happy holidays! I’ll be taking the next couple of weeks off to spend time with my family, but will be back in the new year with new content to enrich your family!